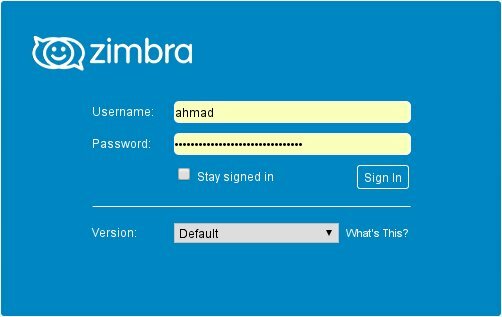 After previously preparation for install Zimbra has been finished, we can install Zimbra right now. First, we can download Zimbra Binary from this link http://www.zimbra.com/downloads/zimbra-collaboration-open-source or if you are in Indonesia region, you can download at the following link http://mirror.linux.or.id/zimbra/binary/. Hey man, I want to thank you a lot for these kind of guides. You’re really good in explaining what to do and you’ve been of great help in my job. Thanks a lot. id’like to ask about zimbra LOG, could it sync with other syslog server, such as Kiwi syslog server? but i have 2 ip public. if the ip public A is down will automatically switch to ip public B.
what should i do firts mas? should i set the cpanel on domain the ip public B? curently ns1.kahar.com using ip public A.
please i really need your advice, master iman..
i install zcs server with zimbra-proxy. My problem is this thing: When i try to log zimbra from internet i must use url https://domainorip:8443. How to change it to https://domainorip? I think telnet can’t disable from outside. Maybe you can give me what the exactly your problem? i need to do migration from zimbra 7.2.7 debian5 to zimbra 8.6.